Pantone, the company that produces the printing industry's standard colour matching system, recently announced that the colour of 2013 is to be Pantone 17-5641 Emerald. 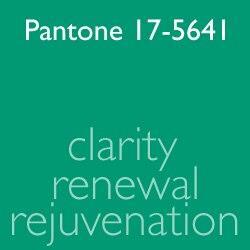 It is said to be the colour of clarity, renewal and rejuvenation. It also has strong ties with nature. “Green is the most abundant hue in nature – the human eye sees more green than any other colour in the spectrum,” said Leatrice Eiseman, executive director of the Pantone Colour Institute in a recent press release. Pantone chooses the Colour of the Year by "combing the world looking for influences". They claim in the past their Colour of the Year has influenced the worlds of fashion, industrial, packaging and graphic design. Now green is not a colour that I'm naturally tempted to use in the home but I am interested in upcycling as a home decor option. I'm sure the shops will be abundant with gorgeous emerald home accessories in the next few months but may I suggest a much cheaper and individual alternative? There are many cool eco ways to bring emerald green into your home without buying new - how about using a recycled hose pipe as a door mat, repainting existing furniture or displaying greenery in recycled glass? Pantone's influence is huge in the design business - let's hope it encourages people to think of recycling as a valid design option. 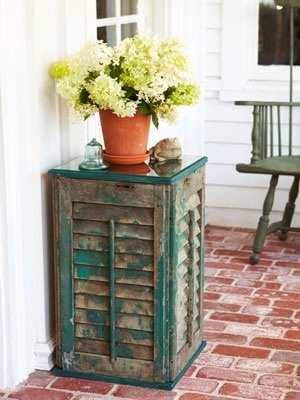 Here are a few of my favourite emerald upcycling ideas. Proof that you can follow trends without spending vast amounts of money or wasting precious resources. 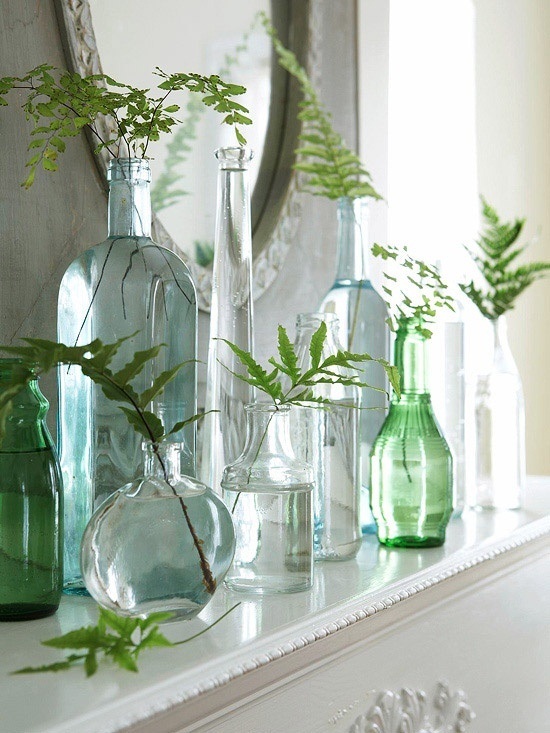 Recycling or upcycling - what better way to renew and rejuvenate your home as we head into a new year? What a beautiful post - so informative, and a great colour - I never knew Pantone did that! 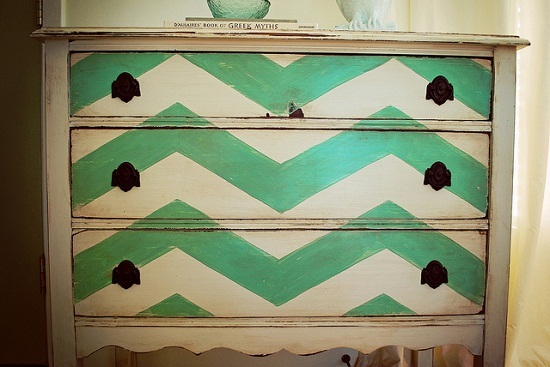 Great colour and ideas...I love those painted drawers! Great post - I didn't realise either than Pantone did that. I'm feeling the need for an emerald Pantone mug now! Lovely upcycling photos too. Personally, I don't like the colour that much and am rather happy, as I hope that this year's yellows will make it to the thrift store and I'll finally get a yellow sweater I like. I love that colour although coming up with a colour of the year seems to be just another marketing ploy to get us all buying new things. I like you will follow the upcycle route! I love that mantelpiece with the fern leaves.